During FREESPACE, the 16th International Architecture Exhibition at the Biennale in Venice, curated by architects Yvonne Farrell and Shelley McNamara, Fondazione Emilio e Annabianca Vedova presents an exhibition of Renzo Piano Building Workshop’s projects entitled “Renzo Piano. Progetti d'Acqua” in a special installation curated by Studio Azzurro. 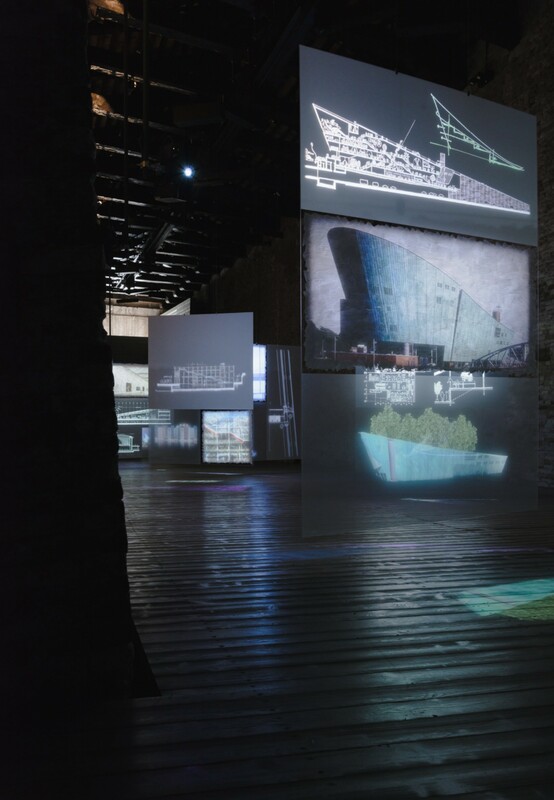 The exhibition also celebrates the tenth anniversary of the renovation of a fifteenth-century masterpiece of Venetian industrial architecture, the Magazzini del Sale, completed by Renzo Piano in 2008. Renzo Piano himself selected 16 projects out of the vast production of his studio, Renzo Piano Building Workshop, built in different parts of the world between 1960 and 2017. The projects vary greatly in location, context and function, but are all inspired by a number of key concepts: adaptation to context, respect for historical, cultural and environmental differences, and, above all, an important relationship with the element of water. This essential relationship also forms a trait d'union with Venice, a city that has a closer relationship with water than any other, and with the architect himself, who is from another city built on water, Genoa. The new media artists’ collective Studio Azzurro is back in Venice after “La Creazione”, a video installation created in 2013 for the Holy See Pavilion at the 55th International Art Biennale in Venice on Max Fine maxi-slabs of high-tech ceramic, to interpret and represent RPBW’s projects in the Magazzino del Sale. 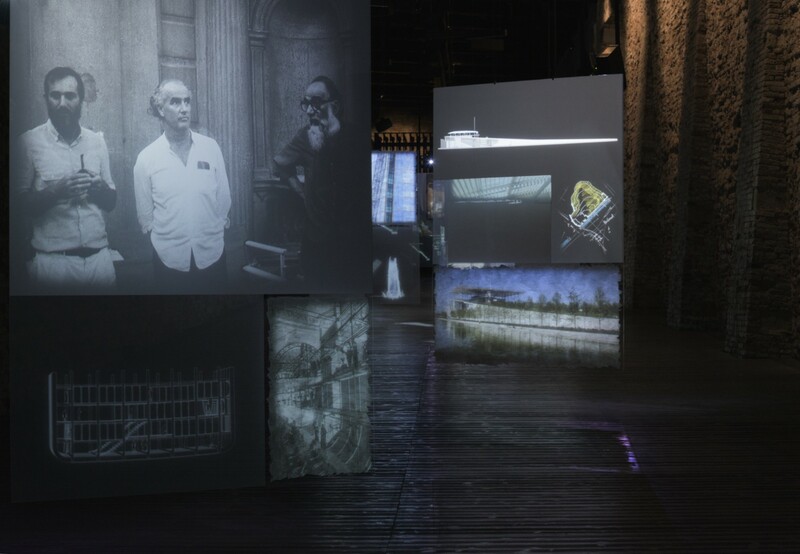 The public is immersed in a soundscape created by Tommaso Leddi in a continually changing space; the projects are presented through images and films projected onto eight big transparent screens arranged all along the Magazzino del Sale, supported by robot-driven shuttles designed by Renzo Piano himself to move big canvases by Emilio Vedova. The voyage of exploration of Renzo Piano Building Workshop’s projects is represented as an ideal circumnavigation of the world, stopping at eight suspended islands. The trip starts in Venice, with the design of the musical space Prometeo. Tragedia dell'ascolto by Luigi Nono in 1984, a plan for a big wooden structure for the performance of the opera in Venice in which Emilio Vedova designed the relationship between space and light. The voyage continues to Athens (Stavros Niarchos Foundation Cultural Centre), Amsterdam, Oslo (Astrup Fearnley Modern Art Museum), London (The Shard - London Bridge Tower), Genoa, Paris (Centre Georges Pompidou), New York (Whitney Museum of American Art), Osaka, Amakusa, Numea, and Santander, concluding back in Venice with the Magazzino del Sale project for Fondazione Emilio e Annabianca Vedova. 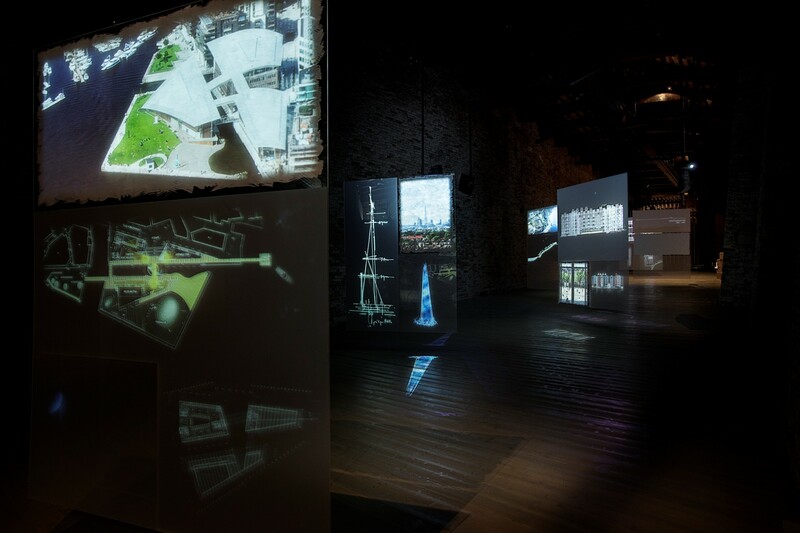 Drawings illustrating a number of different projects appear on transparent screens, along with video animations illustrating their development in relation to the natural elements that inspired them and showing the new urban scenarios and landscapes that resulted after they were completed.